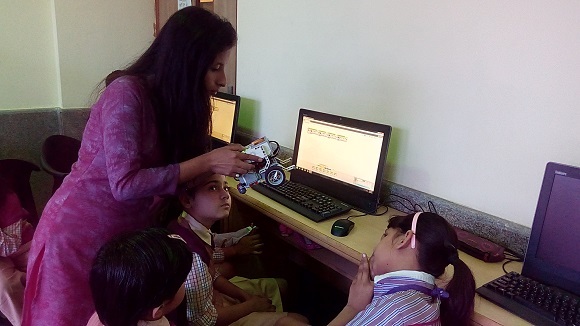 Robotics classes have fascinated students ever since the inception of the club with its innumerable activities centered around STEM education programme. The school initiated the programme of robotics workshops for classes II to VII to enthuse young learners regarding various aspects of Robotics and Aeromodelling. Astronomy classes are initiated for students to make them understand about natural science that deals with the study of celestial objects such as moon, planets, stars, nebulae and galaxies. Astronomy classes as a part of curriculum has started further the cause of promotion of scientific temperament in the student community with the “strive for scientific temper”. The aims and objectives of the astronomy classes is to promote and foster the development children’s interest and related technology and lectures and demonstrations at school are helping the students to know the universe around them.